When Giving Less Means Giving More #Charity365 – Selah. I have a cleft palate. Not the prettiest thing in the world, and certainly not the easiest to live with, but I’ve had to deal with it all my life and it has shaped and directed me, whether I wanted it to or not. As it happened, I was watching TV on a recent, lazy weekend afternoon and channel hopped passed an infomercial about children with cleft palates. I backed up and figured I’d watch for a minute or two… Much later, after many tragic stories with amazingly happy endings, I was pretty convinced what organization I wanted to help next. Along with many other video vignettes, about disadvantaged children like Arifase, Eugenie, and Habimana, I felt that this was something that I, personally, should be helping because I knew exactly how it felt growing up with a cleft palate. I knew that most people would skip this commercial because they just didn’t have that personal experience or close family or friend experience, and that’s okay, because we’re not all the same and we don’t all need to help the same causes. 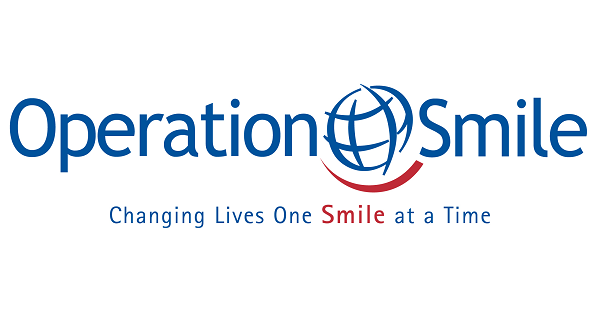 After researching other cleft palate organizations, and checking Operation Smile on the Better Business Bureau, I knew it was the right cause and the right organization for me. The problem was I didn’t really have anything more to give. I was, to be completely honest, struggling to get my budget to play along. There have been months when I felt it would be so nice to get that money back I’ve been donating to good causes, but I knew that wasn’t the right idea. What I can do is rest in the solace of knowing that the greater goal is spreading greater awareness of the power that we have at our fingertips through the charitable organizations we already have all around us and that many giving even a little is more powerful than a few giving much. The adjustment was to realize I can’t do it all, no one individual can, but to also realize that I could give less in order to give to more organizations, including Operation Smile. And that’s what I did: I chopped off $5/month off each charity I was already giving to and used that to donate to Operation Smile. God willing, with His blessing, I will be able to return to giving a greater amount to all my charitable organizations as my fortunes increase, but should my fortunes decline I will still have to realize I still can’t do it all. I must be satisfied that the idea of #Charity365 is not that my individual giving creates sea change but that the idea of #Charity365 will click with people who come across it and many will start giving a little so that we achieve much more than we ever could have alone! Next Next post: New iOS: Should I upgrade?